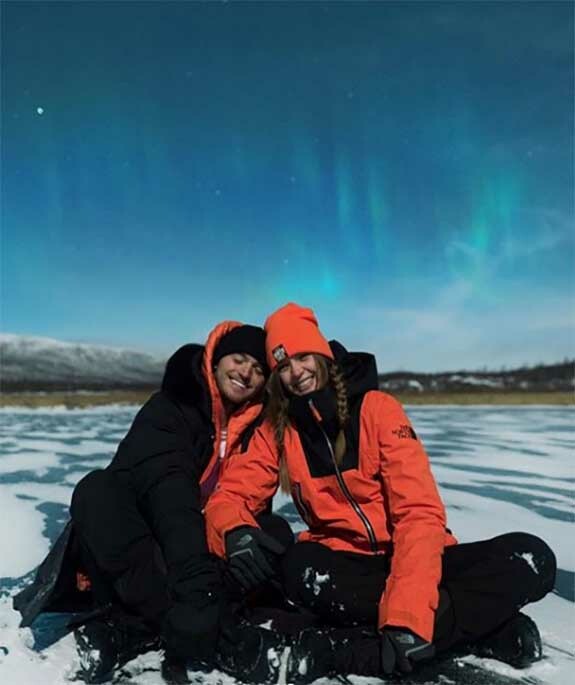 Barely two weeks removed from her high-profile appearance at the Victoria’s Secret fashion show in New York, supermodel Josephine Skriver got engaged to her singer-songwriter boyfriend Alexander DeLeon on a frozen lake under the northern lights of Finland. Skriver and her new fiancé, who goes by the stage name Bohnes, turned to Instagram to share stunning pics of the diamond engagement ring and epic proposal. 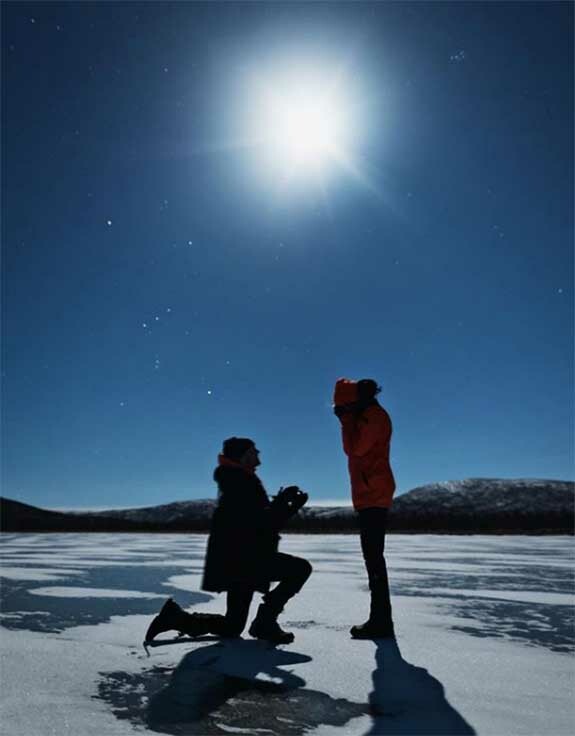 The 25-year-old Danish model revealed in her Instagram feed all the romantic details of DeLeon’s surprise proposal and how she was able to check off three items on her bucket list within seven days… Swimming with orcas, seeing the aurora borealis (i.e. 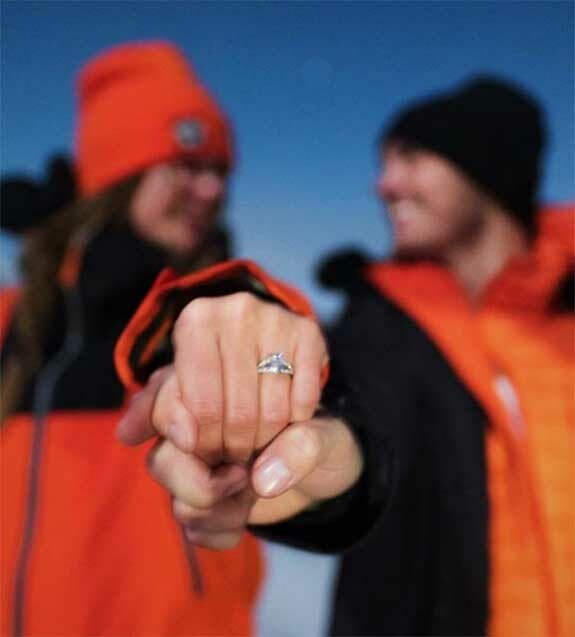 the northern lights) and getting engaged to the love of her life. Skriver marveled at the coincidences and events that made the day absolutely perfect. It was November 23, the day DeLeon released “Aurora Borealis,” a song inspired by Skriver. And 23 just happens to be the supermodel’s lucky number. 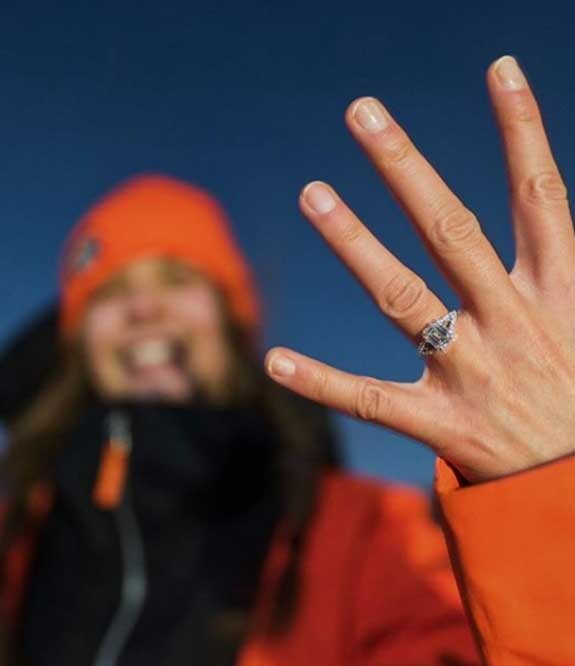 On his Instagram page, the 29-year-old DeLeon posted a closeup photo of Skriver showing off her new ring. His simple caption: forever.